The bulker Baltic Leopard used the dry calm last night to load product from the grain elevator. The Bulk commodity is likely moisture sensitive, so loading can only occur when there is no precipitation. – based on the available draft, there is alot of cargo remaining to load. 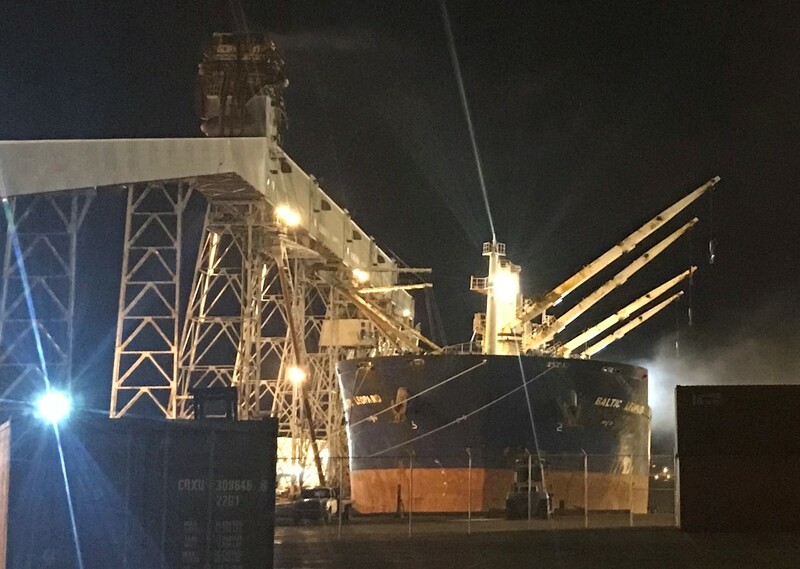 This entry was posted in bulker on November 16, 2018 by Peter.